What is Work Breakdown Structure? Work Breakdown Structure (WBS) is one of the most misused term in Project Management. It can mean different things to different professionals. The meaning could be Organization Chart, Bar Chart (popularly known as Gantt Chart) or Roles & Responsibilities Chart. It is important to define WBS before we proceed further. Work Breakdown Structure is a tool to represent Project and Product Scope. A formal definition of WBS would be. WBS is deliverable oriented hierarchical decomposition of total scope of work. You can also look Max Wideman’s Glossary for few other definitions of Work Breakdown Structure. Before you further, you should read some of my other articles on WBS. What is the difference between Work Package and Activity? Presenting to Customer, Sponsor or Senior Management. Gaining formal approval of Project Scope definition. Getting commitments from various Stakeholders. Analysing Project and Product Scope at a higher level. Gaining commitments from the Project Team. Decompose the Work into activities. Analysing Project Components at a lower level. Assigning individual responsibilities to Project Team members. The above example is using the same components as used in the example of Pictorial method. One method is not superior to the other method. Both the methods have their own application. It is sometimes useful to prepare WBS using both the methods. ​Praveen Malik ​is a certified Project Management Professional (PMP®) with a rich 23+ years of experience. He is a leading Project Management Instructor, Coach and ​Advisor. He ​has successfully trained thousands of aspirants for the PM certification exams. I use creately for making WBS’s . And it is easy for me as there are many templates and examples as well. Project Management’s first step is creating the work breakdown structure, a step that then enables subsequent planning of the work processes and schedule for accomplishing the project. You are perpetuating a less than ideal approach to WBS structures. IDEALLY what we should be seeing are STANDARDIZED WBS which are industry specific and are MULTI-DIMENSIONAL. The day of the “ad hoc” or “custom built” WBS structure as being a “best tested and proven” practice is coming to an end. How can I predict this? If you look to CONSTRUCTION we have been using STANDARDIZED, MULTI DIMENSIONAL WBS structures since the 1960’s. It started with CSI’s Masterformat and Uniformat and was expanded to a 3 dimensional model about 25 years ago by the Norwegian Oil Ministry with their Norsok Z-014 standard CBS/WBS, which is a three dimensional WBS model. Now with the proliferation of Building Information Modeling (BIM) CSI, ISO and several other standard setting organizations have developed a 15 dimension STANDARDIZED WBS/CBS coding structure called OMNICLASS. This is the ENABLER which makes it possible for the various software programs (design, document control, scheduling, cost estimating, accounting etc) to talk to one another. And without STANDARDIZATION this will never be possible. For more on this, go HERE http://www.planningplanet.com/guild/gpccar/creating-work-breakdown-structure (FREE) and it will explain this process in more detail. I remember long time back you had shared a website on Internet which had standardized WBS for various industries. Could you please share it again? It would help the readers. A standardized approach is always good and can be followed for large industrial projects like projects in Oil and Gas. However, for general or new industry projects, one needs to start from scratch to prepare the WBS. What is different between work item and work package? Hi, Work item is not a standard term – at least not in PMBOK Guide. Work Package is a standard term as defined in the article. If Work item is written somewhere, depending on the context, it could mean anything – a work package or a higher level component in a WBS or even combination of work packages. Hope it helps. Alireza, if you want to see an EXCELLENT graphical explanation of “Work Package” and “Planning Package” (a term PMI has missed) go HERE (FREE) http://www.planningplanet.com/guild/gpccar/creating-control-accounts and scroll down to Figure 2. That is perhaps the best and most clear explanation showing how the Control Accounts, Work Packages and Planning Packages all fit into the “big picture” WBS. FWIW, my professional opinion is PMI has not yet fully grasped this or at least they don’t explain it very well in their PMBOK Guide and the questions on the PMP exam coming from “Rita, Cheetah and PMP Exam for Dummies” only exacerbates the confusion. Is it possible to run several methods for a work package? Hi Alireza, I could not understand this questions? Could you please elaborate? Thanks. Yes, if you go HERE http://www.standard.no/pagefiles/951/z-014.pdf you can download the NORSOK Z-014 three dimensional model and if you go HERE http://www.omniclass.org/ you can download the 15 dimension Omniclass model. What I do NOT agree with is that we should have to start from scratch for each and every project. That is nothing more than an indication that an industry has yet to MATURE……… I mean seriously how many different elements or components go into an IT project that are in anyway UNIQUE and don’t appear in ALL other IT projects to some degree or another? Despite the fact that I have long years of experience with project management and I believe in the WBS method, there is real big challenge in using it in the today’s SW development methodologies of SAFe and DevOps, since the full picture is unclear at the initial stage and many times changes on the fly. Welcome to my eponymous blog! I am a Project Management Instructor, Coach & Advisor. I have successfully trained thousands of aspirants for the PM certification exams. Stay with me on this blog and I will happy to walk with you in your certification journey. How PMP Bootcamp Save More $$ Than An Online Training? Did You Know That Exam Fee Is Not PMP Certification Cost? 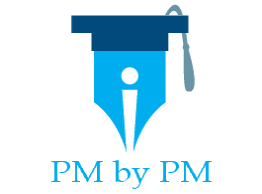 How To Crack PMBOK Guide 6th Edition PMP ITTO Questions? Which Is The Best PMP Boot Camp Online Training Course of 2019? Which is The Best PMP Exam Simulator For Online Practice Tests? Which Is The Best Online CAPM Certification Training Course of 2019?